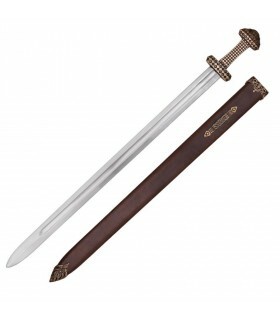 Viking Swords There are 54 products. 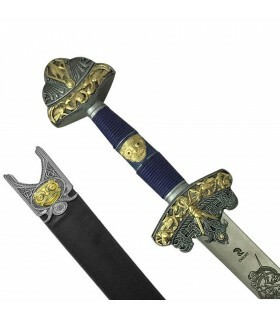 Odin sword decorated with engraved stainless steel blade, blue corded handle and pommel and saved with engraving. 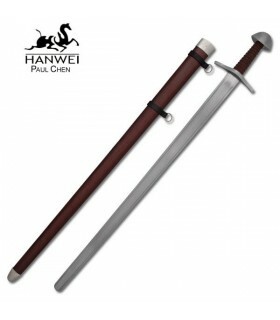 The basic armament comprised sword or ax, spear and shield, while most men carried a belt tied to short chuchillo. 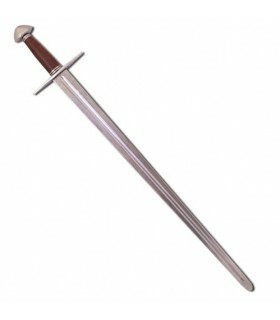 Of these weapons, the sword was clearly the most popular and treated her with a certain reverence, especially in the case of old swords that had been passed down from generation to generation, or looted in riots. 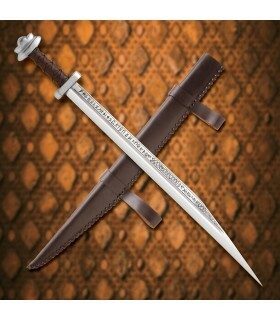 The Glasson Espada arabesque reminiscent of a sword though his resume includes recorded reminiscences of mythological warrior fights with lions. 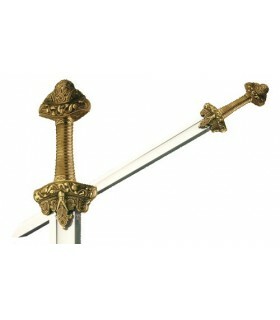 Its handle is finished in silver and antique brass. 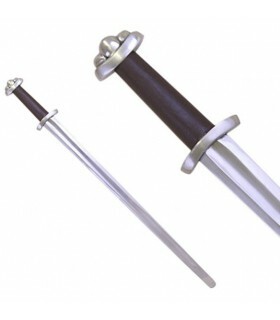 This sword is manufactured in Toledo (Spain) stainless steel of the highest quality. 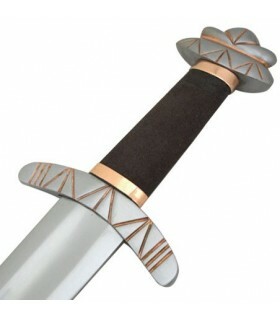 Nordic style sword with a blade of stainless steel, wood and leather cuffs, brass cross and turning round knob open. Leaf with large table allow the inclusion of additional prints. 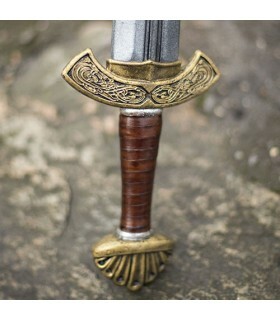 Nordic style sword with a blade of stainless steel, wood and leather cuffs, brass cross and pommel Viking turning. Leaf with large table allow the inclusion of additional prints. 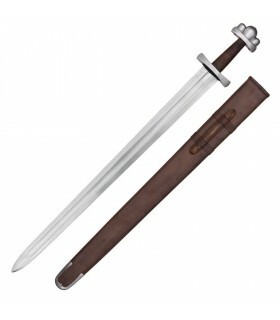 Nordic style sword with a blade of stainless steel, wood and leather cuffs, cross nickel and turning round knob open. Leaf with large table allow the inclusion of additional prints. 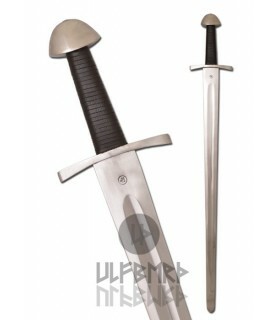 Viking sword fighting with blade of carbon steel CSN 14260 (DIN 54 SiCr 6) with hardness of 44-48 HRC and riveted handle. Viking sword was released in southern Africa by the Vikings peoples. 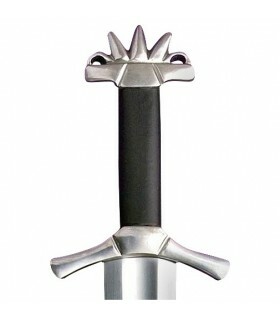 Functional long sword Viking Century X. grooved blade hand-forged steel heat treated spring EN45. Sheet riveted to the pommel. 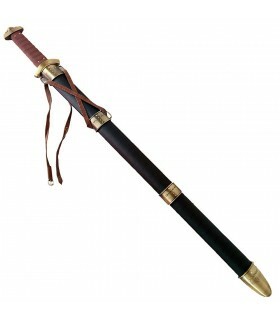 It includes wooden sheath covered in leather with brass-plated finish. 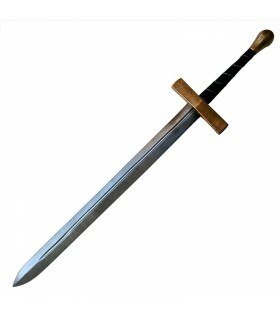 The original sword was found in England. Viking sword with scabbard Carolingian functional. Handmade. 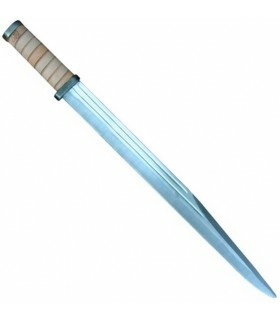 Tempered steel blade with a hardness of 48 ° HRC. 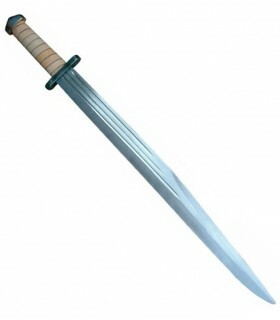 Developed from the Roman Spatha was used in Europe in the years 751-911. I knob riveting. 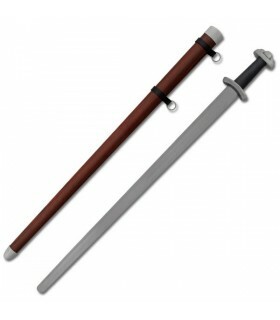 Leather coated handle. 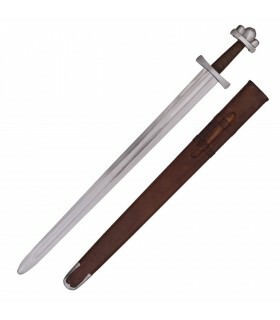 It includes wooden sheath covered in leather. 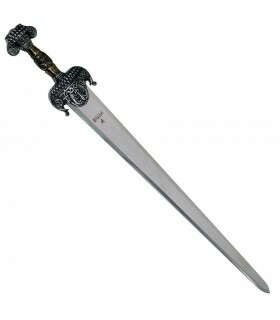 functional X century Viking sword hand-crafted by the ULFBERTH® brand. 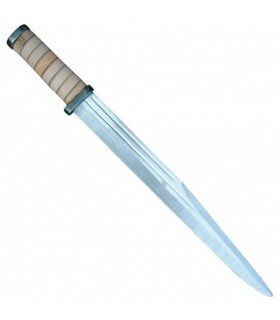 Blade made in EN45 carbon tempered steel with a hardness of 48-50 HRC. 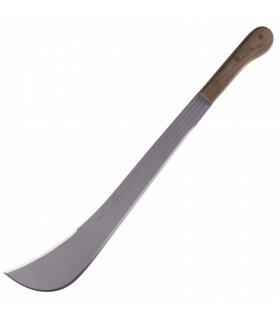 full tang with riveting knob and handle lined in leather. 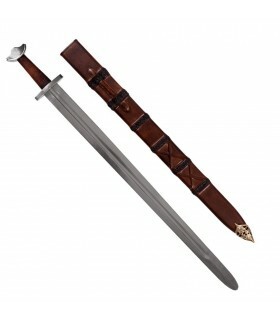 It includes wooden sheath covered in leather. 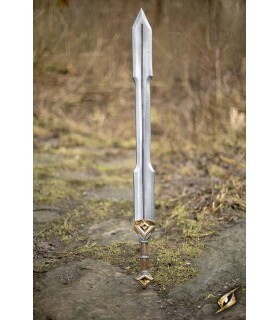 vikinga short sword latex, 60 cms. 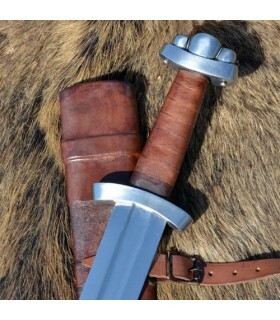 Viking sword cutsfunctional for LARP, role playing live, recreations, etc. Made of fiberglass and coated latex strong. Length: 85 cms. Functional Viking sword like those used in the battle of Stiklestad, the final battle of San Olaf. 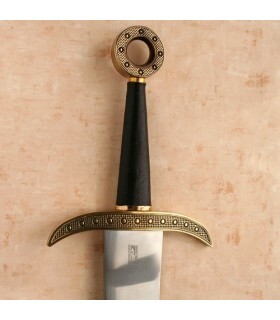 Made of 1065 carbon steel blade forged by hand and with knob and guard decorated in bronze. 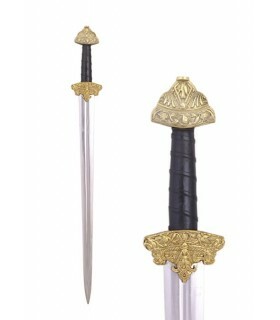 Includes leather sheath covered in leather with metallic finishes. 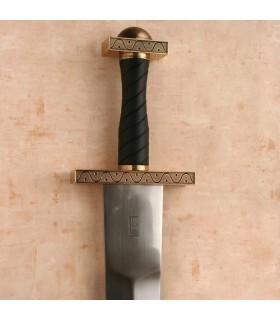 Viking sword with double-edged carbon steel blade and bronze handle. It is a replica of the original that was found on the Scottish island of Eigg. 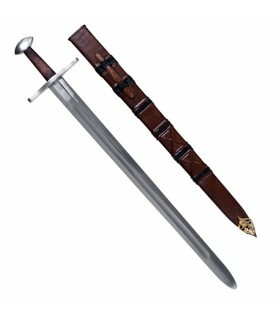 Includes leather sheath covered with metal trim. 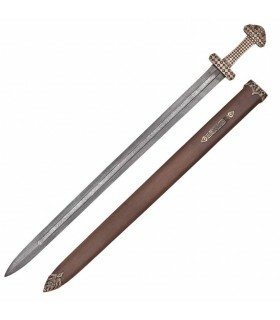 Viking sword with Damascus steel blade, double edged and bronze handle. 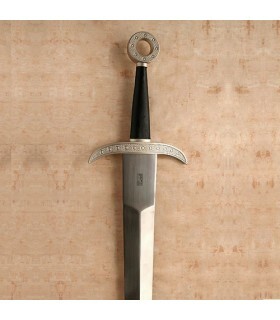 It is a replica of the original that was found on the Scottish island of Eigg. 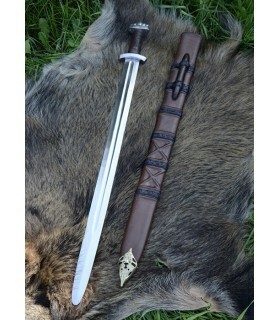 Includes leather covered sheath with metal trim. 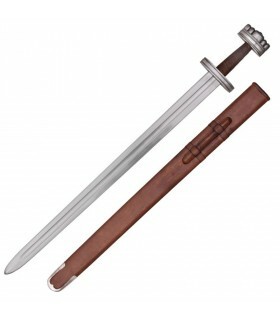 Long Viking Sax sword with leaf decorated with the runic alphabet. 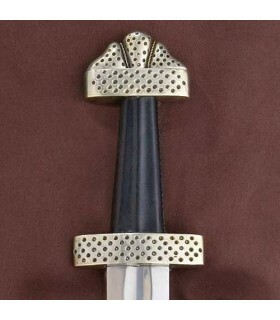 The handle is lined in leather. 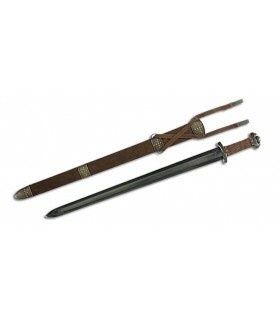 Includes brown leather sheath with two hanging straps. 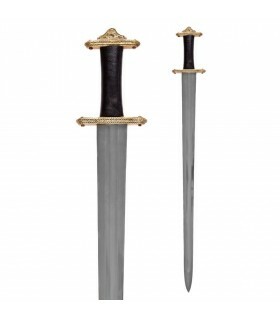 Manufactured by Windlass Steelcrafts® This sword is typical of the Germanic peoples in the period of migrations and of the early Middle Ages and the original is exhibited in the British Museum. 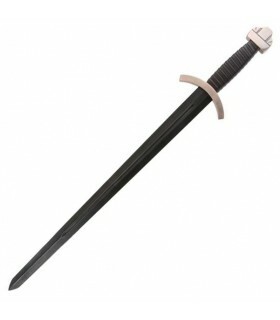 Viking sword Sweden functional with blade made of high fluted carbon steel, fantastic knob and Viking classic guard. 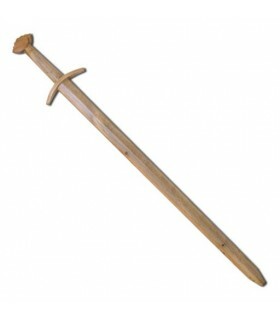 The handle is made of wood covered with leather. 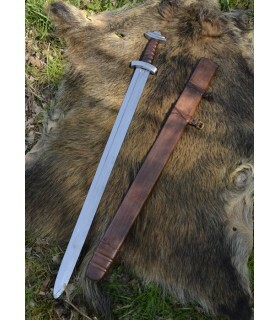 Includes sheath covered in leather. Manufactured by Windlass Steelcrafts®. 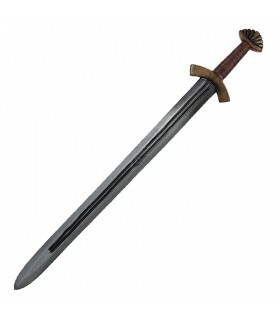 This sword was found in Sweden and can be seen, among other publications, in the cultural Atlas of the Viking world. 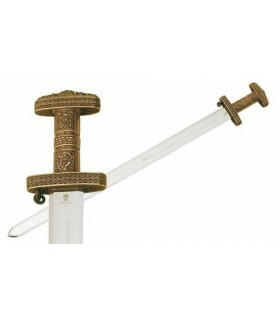 Sword viking designed with a grip very elaborate brass. 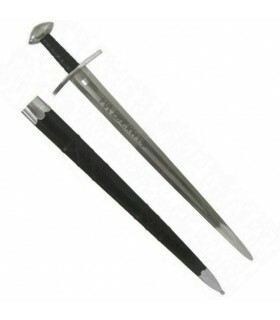 The blade is wide, forged carbon-steel. 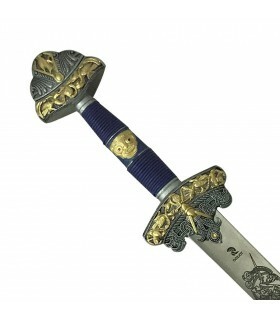 Sword Odin decorated with sheet stainless steel etched, grip strung the blue and pommel and guard with engraved. 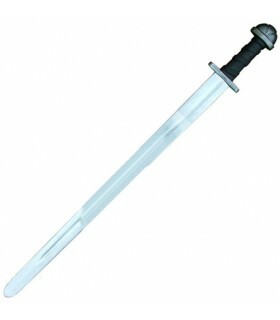 Includes sheath.